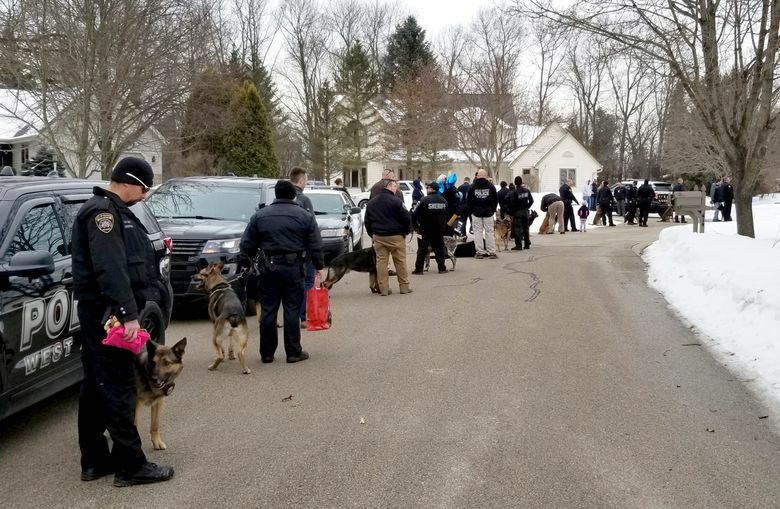 HARTLAND, Wis. (AP) — A 7-year-old Wisconsin girl with a potentially fatal brain tumor got a boost of support from some furry law enforcement officers. 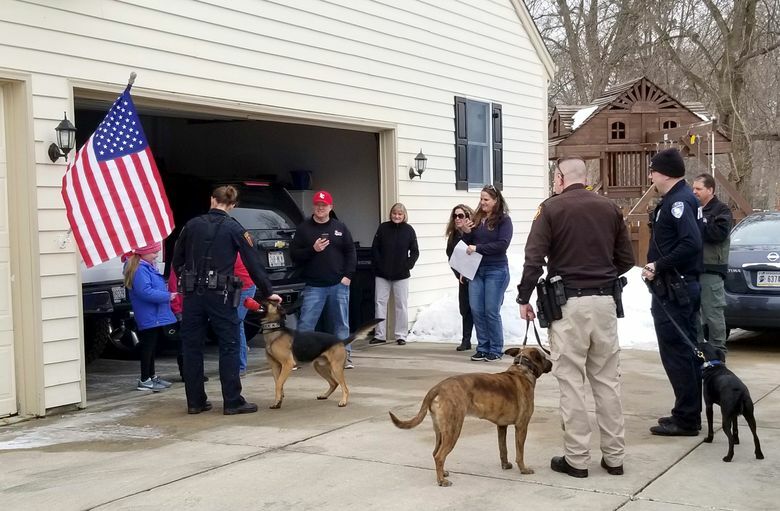 Emma Mertens loves dogs, so more than 30 human officers with their K9 partners paid Emma a visit at her home in Hartland . The officers came from across southeastern Wisconsin to surprise her last weekend. West Allis Police Officer Rick Orlowski tells WTMJ-TV that Emma’s eyes “were the size of saucers” when the officers pulled up. He says she couldn’t stop smiling. Emma has an inoperable diffuse intrinsic pontine glioma tumor, or a DIPG tumor. A family friend had posted a request on social media for people to send photos of their dogs. Emma’s family says she has since received thousands of letters and photos from around the world.